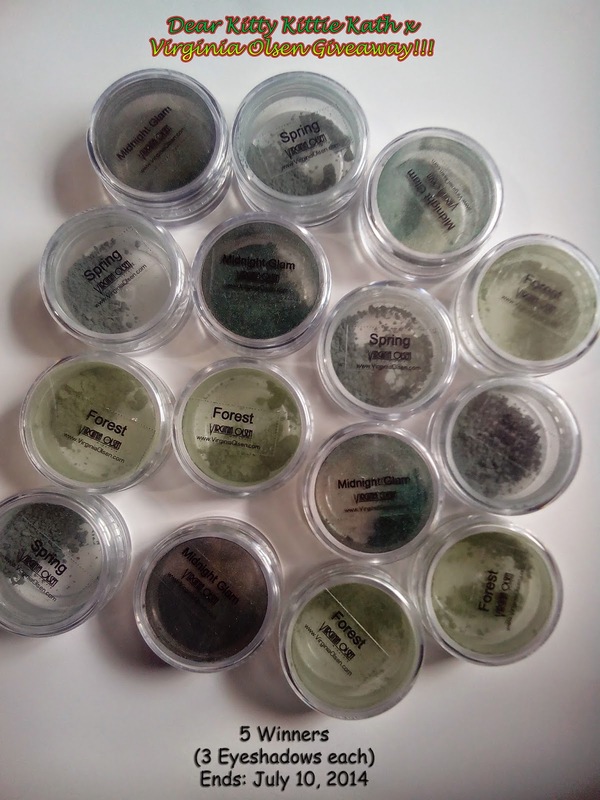 Winners of Virginia Olsen Green Eyeshadow Giveaway Announced! Hello! My apologies for the late announcement. I will just make this post short dearies. Thank you for joining and I hope you will support my giveaways. For those who didn't win, try your luck by joining JULY GIVEAWAY HERE. So without further ado, the 5 winners of Virginia Olsen sample pots giveaway are... click CONTINUE READING to find out! Congratulations girls! Expect my congratulatory email within the day. Please respond within 48 hours or a new winner/winners will be picked. 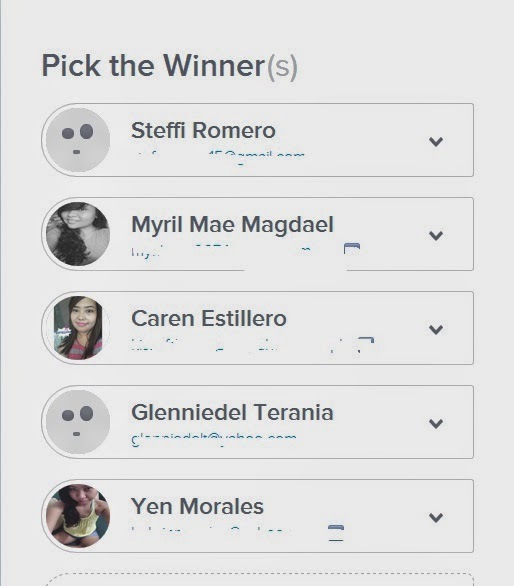 Again, thank you so much for supporting and joining Dear Kitty Kittie Kath giveaways! Yey! Thanks for this sis :) New added babies..hehe! Anyways, I havent received any email from this? Yay! Thank you! :) Though, I haven't received an email yet.